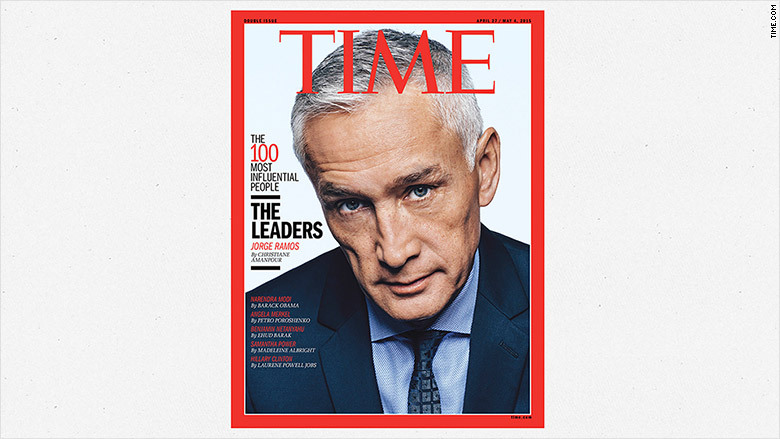 The Fusion and Univision anchor made one of the covers of Time's 100 most influential people. 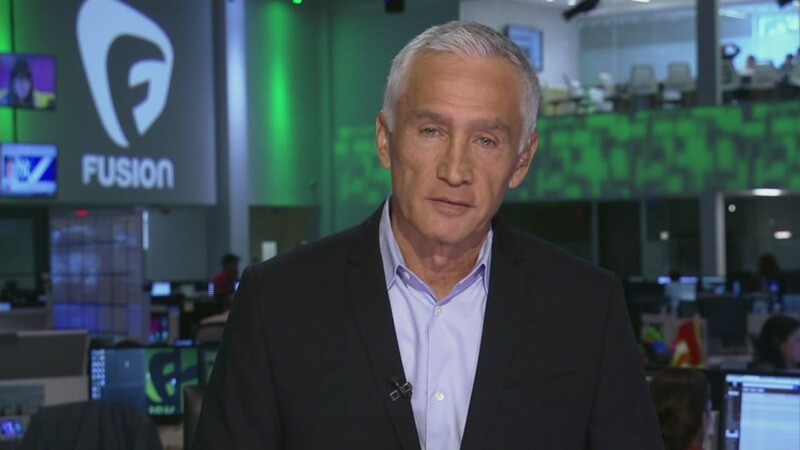 Time Magazine released its annual 100 most influential people Thursday and one of the faces on the list was Jorge Ramos, the most influential Hispanic anchor in the country. The veteran newsman may be somewhat unknown to English language audiences, but his respected stature in the media world and in the Hispanic community helped him make Time's cover. Time printed five covers; the other names were Supreme Court Justice Ruth Bader Ginsburg, musician Kanye West, dancer Misty Copeland, and actor Bradley Cooper. Ramos told Fusion on Thursday that he felt that the magazine chose him for one of the covers in order to represent the Hispanic community and immigrants. "It's simply a symbolic choice. I don't think it's me," Ramos said. "Time is choosing these groups through me." According to Time, the choice to have Ramos on the cover rather spoke to the influence the anchor has within the Latino community and throughout the country. "He's a trusted voice for millions of Americans, and his perspective on issues like immigration will be hugely influential in the run-up to the 2016 presidential election," Time's deputy managing editor, Radhika Jones, said in an e-mail to CNN Money. Ramos, who was born in Mexico City, appears on Spanish-speaking news shows like Univision's "Notciero Univision" and "Al Punto," two of most widely watched Spanish language news shows. In addition, he hosts the English-language Fusion show "America with Jorge Ramos." The anchor has turned heads in the past year for his intense interview with President Obama regarding Immigration reform along with showing the hardships of immigrants by swimming across the Rio Grande with his camera crew. Ramos, 57, has been often called the "Walter Cronkite of Latino America," according to the New York Times. Yet, making the cover of Time 100 is a breakout moment for the anchor and his young Fusion network. Fusion, which is Disney (DIS) and Univision's cable network aiming to reach millennials on TV and online, was launched two years ago and is largely undiscovered. Ramos has spoken highly of Fusion's potential, telling CNN's Brian Stelter in September that the media company was "a bridge to the future." "In 2016, no one is going to be able to make it to the White House without Fusion or Univision," Ramos said, speaking to the network's reach to Latino audiences. "He says he asks every question as if it's his last, determined to get an answer or go down trying," Amanpour wrote. "He knows he has a voice and is not afraid to use it." "With another presidential election coming up, if anyone can move this needle, Jorge Ramos can—and he must," Amanpour added.